Lagoon has reached an impressive milestone this year. Thirteen decades have passed since it began as the Lake Park Bathing Resort on the eastern shore of the Great Salt Lake. In that time, Earth has orbited the sun one hundred and thirty times and traveled millions trillions of miles. Considering the oldest person alive today (Emma Morano of Italy) was born about a month before the turn of the 20th century, one hundred and thirty years is probably somewhat difficult for any of us to comprehend. To help make it a little more conceivable, here are some other things that came into existence in 1886. COCA-COLA was first served in Atlanta on 8 May 1886. STRANGE CASE OF DR. JEKYLL & MR. HYDE by Robert Louis Stevenson was first published in January 1886. 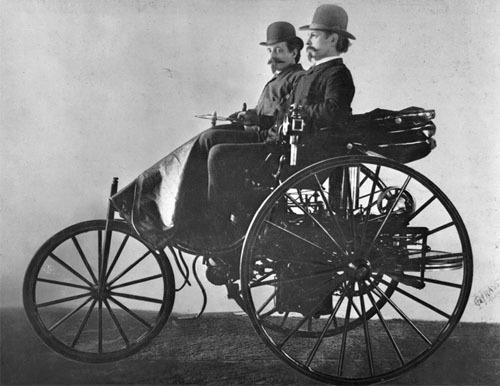 THE BENZ MOTORCAR, widely considered to be the first automobile, was first demonstrated in Mannheim, Germany on 3 July 1886. NIGHT ON BALD MOUNTAIN by Modest Mussorgsky was first published and performed in 1886, five years after his death. 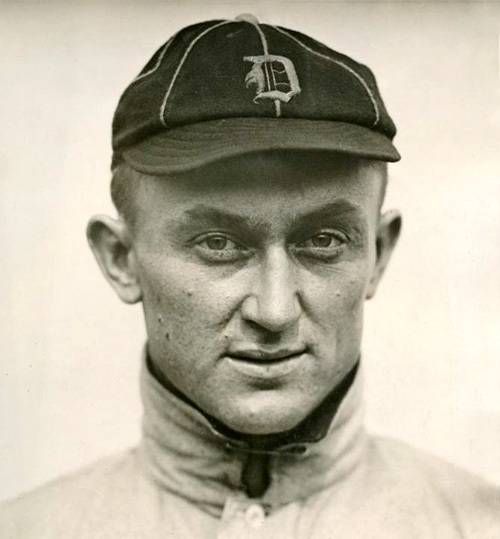 Baseball legend TY COBB was born in December 1886. During his career he set 90 league records and still holds many of them including highest batting average. CLASSIFIED ADS were first printed in the London Times in February 1886 to help advertisers reach their intended audience while also helping consumers find the best products and services for their needs. 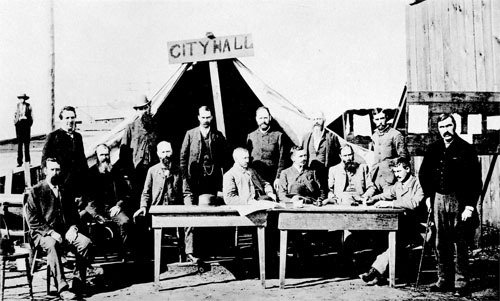 VANCOUVER, BRITISH COLUMBIA was incorporated as a city in April 1886. Two months later it experienced a massive fire from which it was quickly rebuilt. 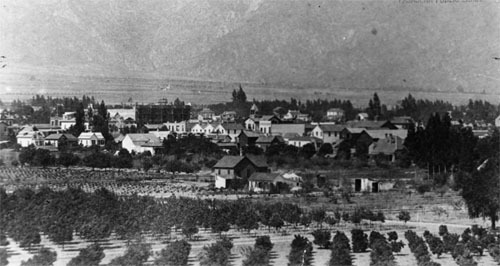 PASADENA, CALIFORNIA became a city in June 1886, four months after the first oranges were shipped east from Southern California on the transcontinental railroad. The first commercial LINOTYPE MACHINE was a significant advancement in printing when Ottmar Mergenthaler first showed his invention to the New York Tribune in July 1886. It was an improvement on typesetting that allowed more books to become accessible to more people and lasted until computers took over in the mid-20th century. 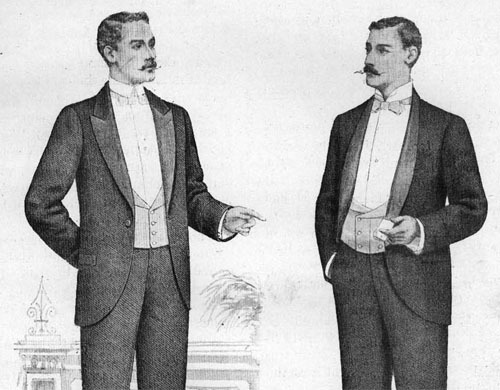 THE TUXEDO or dinner jacket was first created and worn at a ball in Tuxedo Park, New York in October 1886. 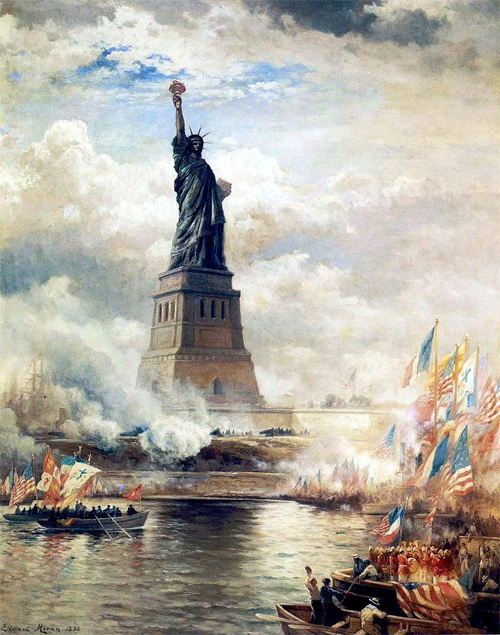 THE STATUE OF LIBERTY was dedicated 28 October 1886. The event was marked by a parade overseen by U.S. President Grover Cleveland. When the parade passed the New York Stock Exchange, ticker tape was thrown out of the windows, thus beginning the tradition of ticker tape parades. LAKE PARK BATHING RESORT, built by the Denver & Rio Grande Railroad, opened in July 1886 on the Great Salt Lake when Utah was still a territory. Simon Bamberger, part owner of the resort, moved the buildings inland to its current location in 1896 and named it LAGOON. Few institutions have survived as long as Lagoon has in Utah and few amusement parks have survived as long in the United States. According to the National Amusement Park Historical Association, Lagoon is the 10th oldest American amusement park still operating in the same location. Many of the things in this list changed the world or have left a deep impression on our culture. Lagoon has done the same for generations of people living in and around Utah. Much has changed inside the park itself as well. 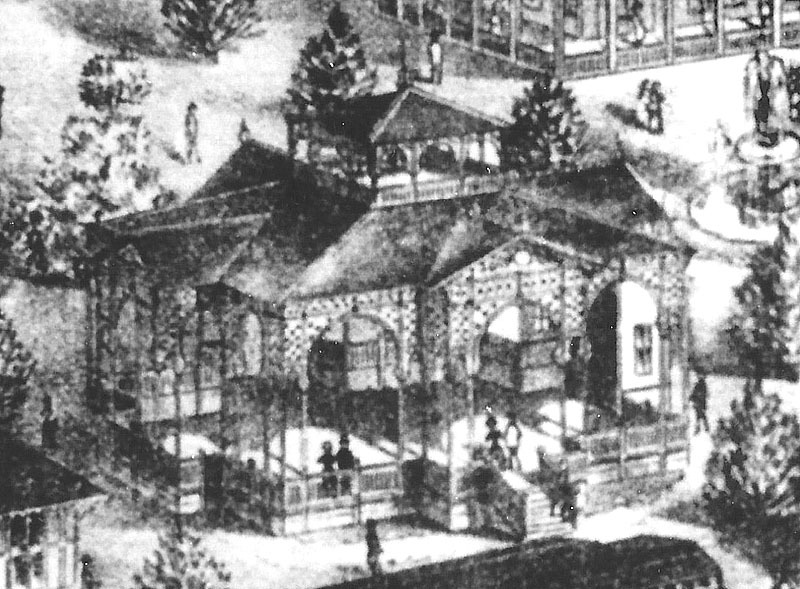 In the early days, electricity had yet to become a viable option and a mule was used to power the park’s first carousel. The first thrill ride involved boats sliding down an incline and splashing into the lake. Visitors arrived by train and most roads were made of dirt and traversed by foot or horse-drawn vehicles. Meanwhile, outside the park, Farmington’s population has grown from 1,000 to 22,000. Homes and businesses have sprung up out of the acres of farms and pastures. Other resorts such as Saltair and Black rock have come and gone. Several others have completely faded from memory. The world as we know it today would be just as hard to imagine for those living back then as it is for us to imagine what the world of 2146 will be like. With all that has changed, there is still one element that has survived from the original Lake Park. In the midst of Lagoon’s many picnic terraces stands the humble Rose Terrace. When it was first constructed in 1886, it was a cupola on top of the old dance pavilion. The dance pavilion was designed by Richard Kletting who was also the architect of the massive original Saltair pavilion, the Utah State Capitol and other famous buildings. 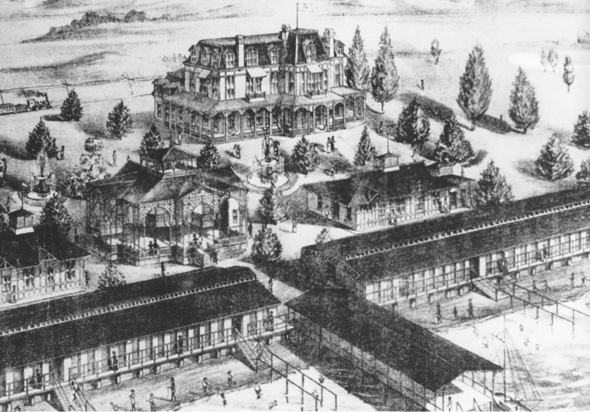 In 1896 it was relocated with other buildings from Lake Park to the current location of Lagoon. It stood there until about the 1950s when it was dismantled and the wood was used to build the Lake Park Terrace. 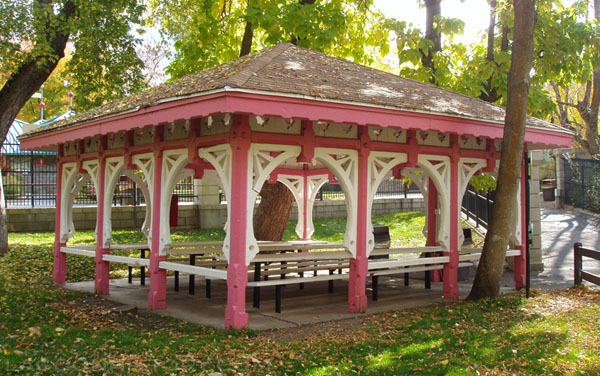 The cupola remained intact and became its own picnic terrace as it is still used today. This small, overlooked building quietly and steadfastly stands as a connection from the modern day to the park’s opening day one hundred and thirty years ago. Timeline – A brief listing of events in Lagoon’s history.